By: J. Kent Holland, Jr. The U.S. Court of Appeals for the District of Columbia affirmed a U.S. District Court decision that granted summary judgment to an engineer, holding that the statute of limitations had run on a breach of contract action, and the indemnification clause at issue did not cover first-party claims. The court stated, “Unquestionably, indemnification clauses have traditionally been used and interpreted as extending only to third-party claims [ ]. In the initial Agreement, the terms ‘claim, judgment, lawsuit, damage, liability, and costs and expenses,’ must be interpreted in light of the traditional function. Furthermore, the D.C. Court of Appeals has advocated for strict construction of indemnification clauses to avoid covering ‘any obligations which the parties never intended to assume.’” Hensel Phelps Construction Co. v. Cooper Carry Inc., (U.S. Court of Appeals, District of Columbia, No. 16-7128 (June 30, 2017). James F. Lee, Jr. and Jonathan C. Shoemaker, of the Lee & McShane, PC law firm, wrote the brief for the appellee, engineer in this appeal in which Mr. Shoemaker argued the cause for the engineer. Initial design work was done under an engineering contract to Marriott Hotels, which subsequently assigned its development rights to HQ Hotels – which then entered into a design-build contract with Hensel Phelps. Marriott assigned its initial engineering agreement to Hensel Phelps. After three phases of a hotel project were completed, and the fourth phase was underway, the engineer was informed by the District of Columbia that its designs did not comply with the applicable fire codes. The design-builder claimed it cost over $4 million in design alterations to remedy the alleged errors, and that it incurred additional costs over the next three years as it discovered additional design defects. When did the breach of contract action accrue? What the court is saying is that the design-builder could not wait until substantial completion of the project before filing its breach of contract claim. The contractor agued that the Project is governed by a unitary construction contact, under which courts typically interpret first breach as occurring upon “substantial completion” of the Project. Because substantial completion didn’t occur until 2014, the contractor argued that the claim was not time-barred. The court disagreed. 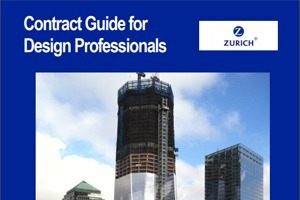 It concluded that the terms of the Agreement that was assigned to the contractor, dispute-resolution procedures for breach of contract could have been initiated as early as March 20122 when the fire safety code violations were first discovered. In addition, the Agreement “required” the parties to proceed to court if dispute resolution failed. As noted at the beginning of this case note, the court concluded that in the context of the language of this contract, there was no clear and unequivocal intent to include first-party claims as part of the indemnification obligation. Comment: The court’s holding that indemnification is for only for third-party claims unless expressly stated to include first-party claims as well, is consistent with the historical purpose of indemnification. There was a time when the indemnification clauses in most contracts stated that indemnification was only for “bodily injury” and “property damage claims”. Those causes of action denote that third-party claims have been made against the Indemnitee. Many contracts today omit the “bodily injury” wording and speak in more general terms of indemnity for all claims, law suits, causes of action, demands, damages, losses and costs, etc. Even with that wording, as the court noted in this case, it is not clear that the intent is to do anything other than indemnify against third-party claims and those damages and costs that arise out of third-party claims. There are court decisions, however, such as the Penta Coporation v. Town of Newport v AECOM, case (New Hampshire Superior Court, 2016) that have found indemnification was owed for first-party claims, even though the language of the contract was not much different from that addressed by the court here. To avoid that risk, we routinely edit the indemnification clauses to state that indemnity is only for damages arising out of “third party tort claims.” For more about the AECOM decision and our comments on it, visit my indemnification article at the ae ProNet website.